SPRINGFIELD, IL (SEPTEMBER 2, 2018) – In the 100th running of the legendary Springfield Mile, Jared Mees secured his fifth career Grand National Championship. His 2018 title marks back-to-back years as champion aboard his Indian Scout FTR750. In the final lap of the Springfield Mile II, fellow Indian Wrecking Crew rider Bryan Smith passed Mees and captured his first win of the 2018 season. The second-place finish was enough to lock-in the 2018 title for Mees. Though the Springfield Mile II marked his first win of the season, this was Smith’s fifth time reaching the podium in 2018. 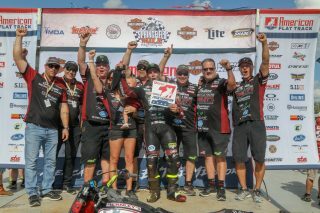 Smith strategically sat out during the Peoria TT on August 18 to provide additional rest for a broken bone he’s been healing since crashing at the Texas Half-Mile in April. 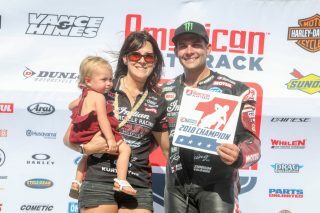 Smith last raced at the Black Hills Half-Mile on August 7, where he placed third. After more than 60 years away from flat track racing, Indian Motorcycle has captured consecutive Manufacturer’s Championships and back-to-back rider titles with Mees winning in 2017 and 2018. 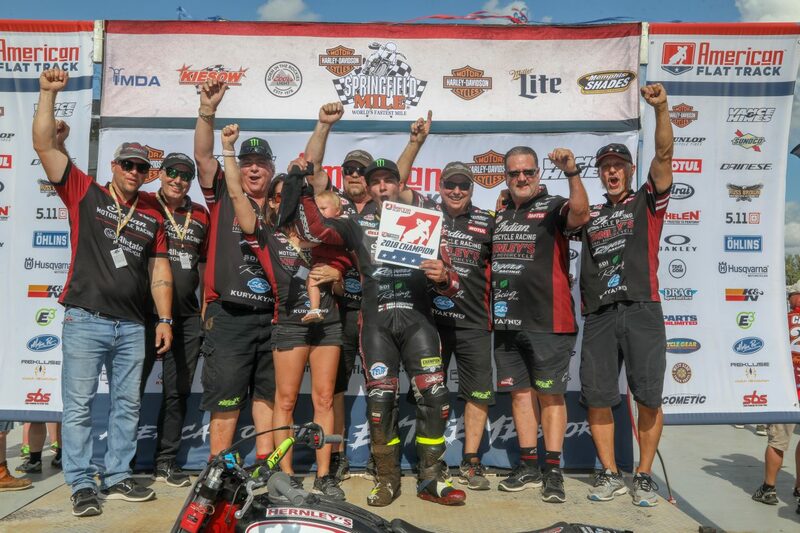 The Indian Motorcycle factory team dominated the 2017 schedule and swept first, second and third-place overall standings. In 2018, numerous privateers gravitated to the championship-winning race bike – choosing to pilot the Scout FTR750 in AFT competition. Nothing better exemplifies this than the 15 Scout FTR750’s that appeared in the Springfield Mile II Main event. Mees, Smith and the stable of privateers aboard the Scout FTR750 will continue the season on September 8 at the Williams Grove Half-Mile.